Hakija – NSE EOD Downloader for Amibroker and Metastock Hakija, is an opensource(free with source code available) NSE End of Day Data Downloader written in Python. No other installations like .NET framework, Java anything else is required. nowadays i am aregular visitor of this website after being introduced few days back by a friend.I really like your regular updates.Ihave downloaade your latest post on NSE EOD data,but i mam not able to extract the file.please guide me how to do it. My trading software gives an option for “n” minutes intraday with an option to save it as .txt. Now here is the problem, the tabs displayed are….. PROBLEM: how to import via impot wizard i.e what parameters should I set in coloumn bars (1-8)? any help will be appriciated. HAPPY NEW YEAR! I have downloaded the “Hakija-v0.80” designed by you and i tried to download the data and I am able to download it but i don’t no how to import the data to amibroker(as i am a new user of this software), so can you please guide me in this..? Do you have simillar EOD data of BSE Ami & compitable with downloadable data through Get Bhavcopy..??!! If yes, can you provide me the link..??!! Is this adjusted for split & bonus? I’m having Amibroker 5.2 in my PC. Looking for the updated database. 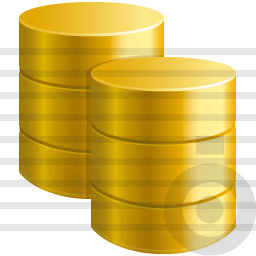 If this database is only for 5.3 or above, please help me to get the database for 5.2 version.